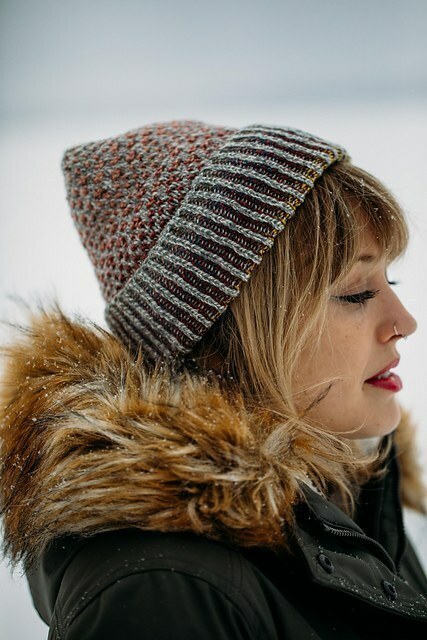 The Ghost Ranch Hat is the new collaboration between Spincycle Yarns and Drea Renee Knits, specially released during Edinburgh Yarn Festival 2019. 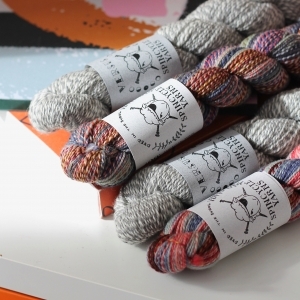 This yarn bundle is made up of a total of 2 skeins – 1 skein in ‘Dyed in the Wool’ and 1 skein in ‘Versus’. 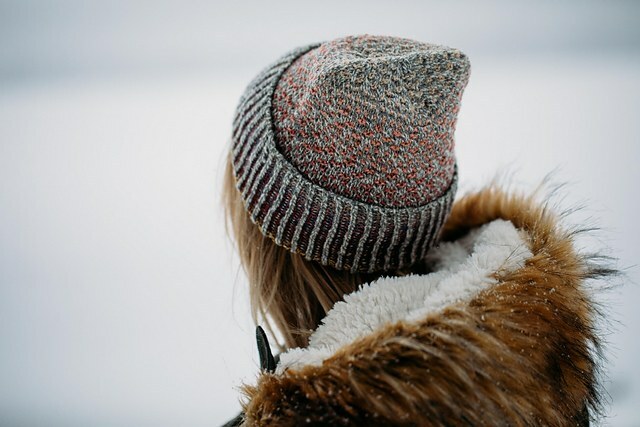 Each order will come with a paper pattern for the hat whilst stocks last. 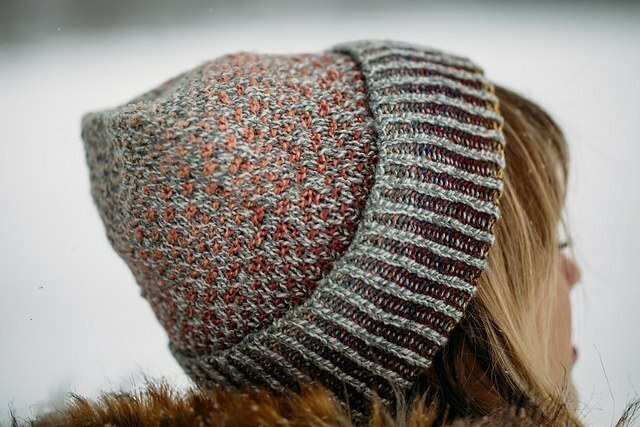 You can also find the pattern online on Ravelry. 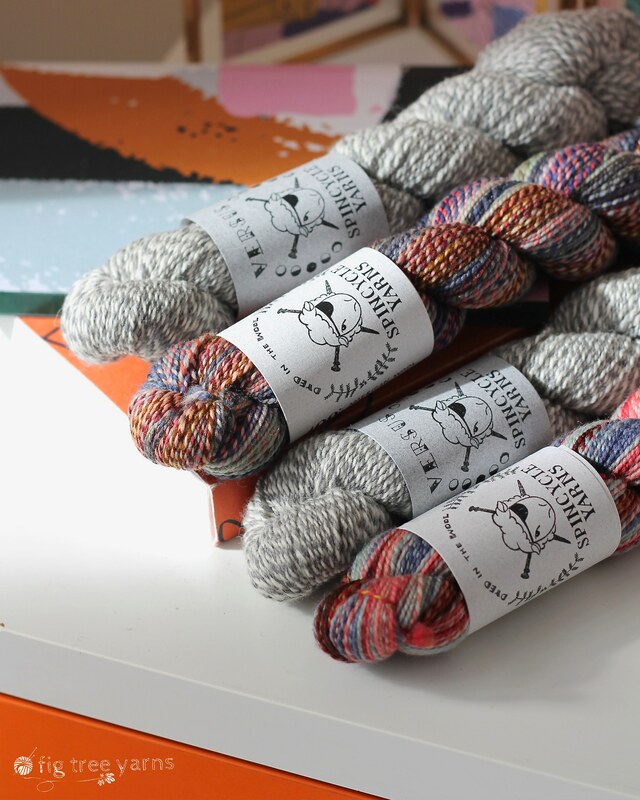 The Spincycle team created a brand new colourway of their classic ‘Dyed in the Wool‘ named after the hat, Ghost Ranch, for this legendary collaboration. 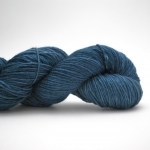 As with all their yarns, they are created using artisan hand-dying techniques, which means every skein has a unique blend of the saturation of colour. 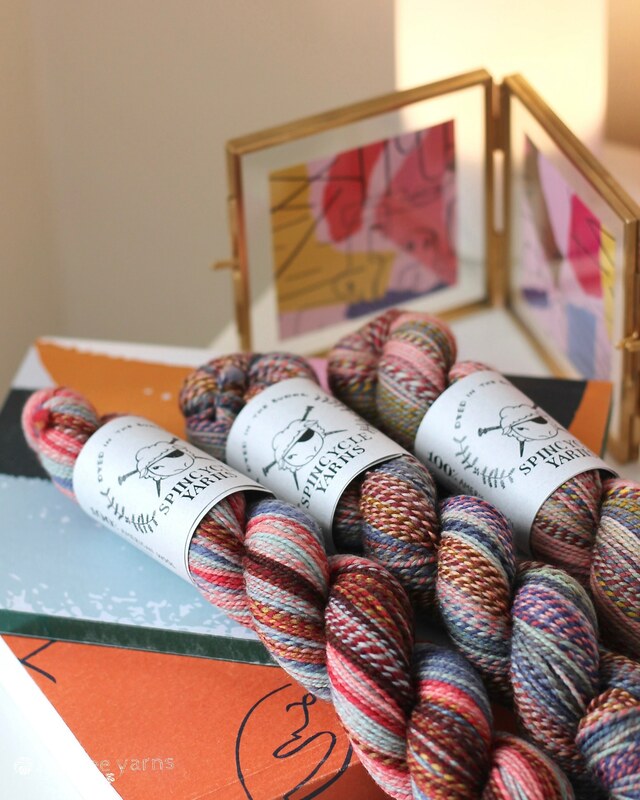 This variation of dye-lot means every knitted creation using these skeins will be just that little bit more individual – just like you!⁣⁣ Please allow for some colour variation to the photographs. 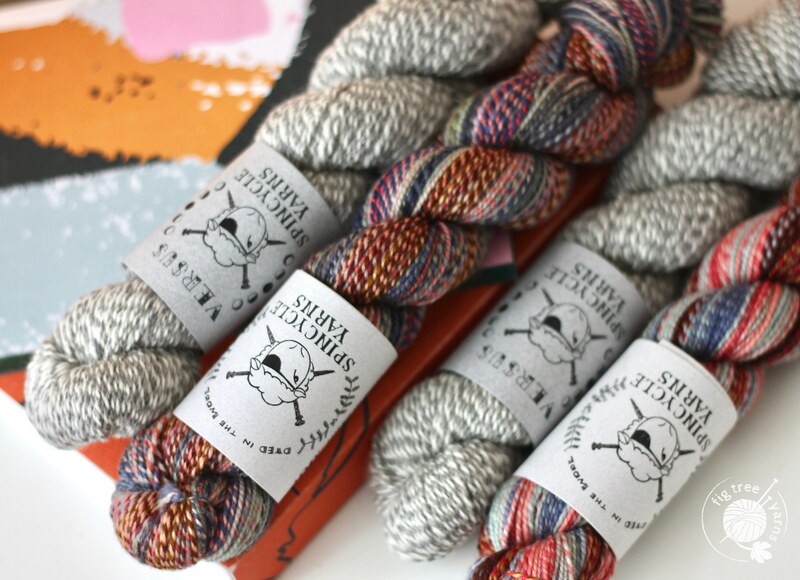 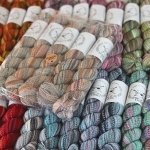 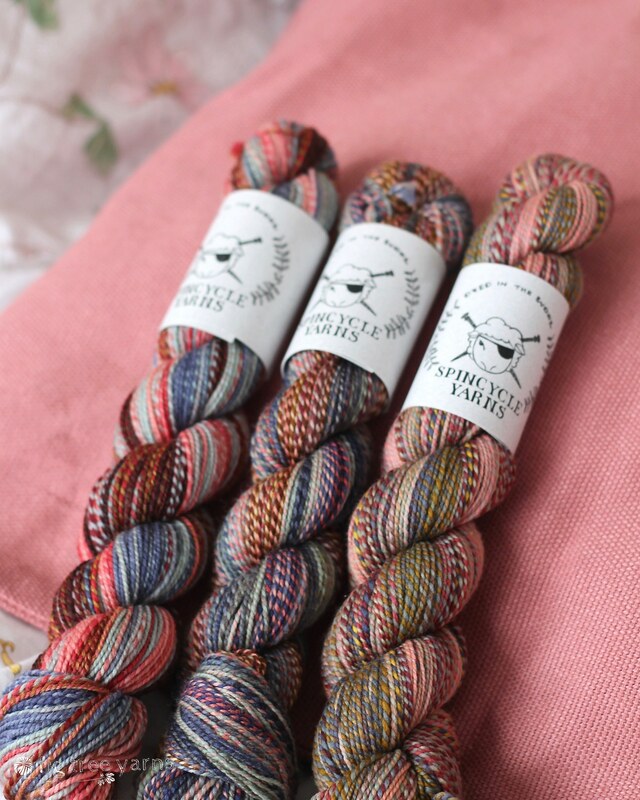 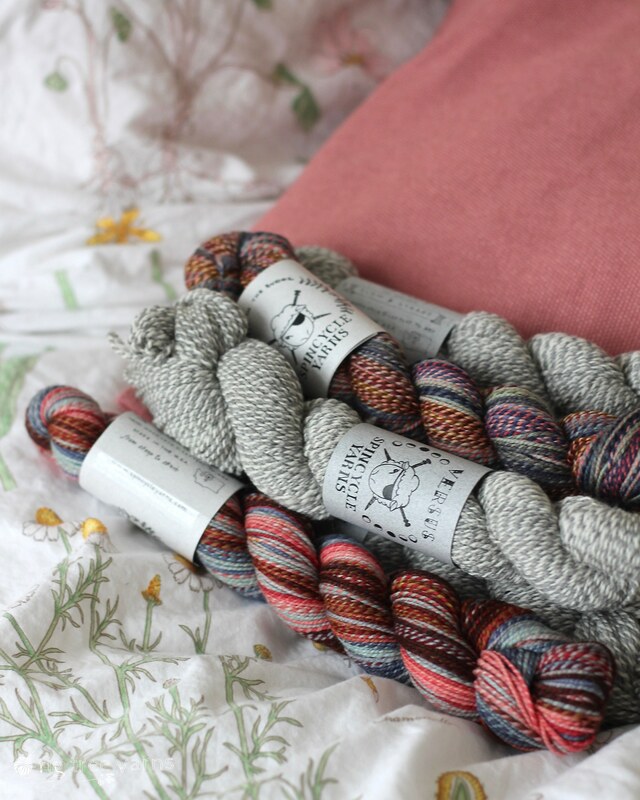 ‘Versus’ by Spincycle is a brand new yarn for us and we are so excited to stock it for this kit! 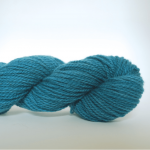 We may introduce this to our line permanently so keep an eye on our socials for updates. 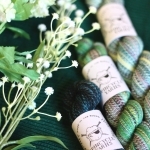 Measured over two color brioche rib in the round using smaller needle.